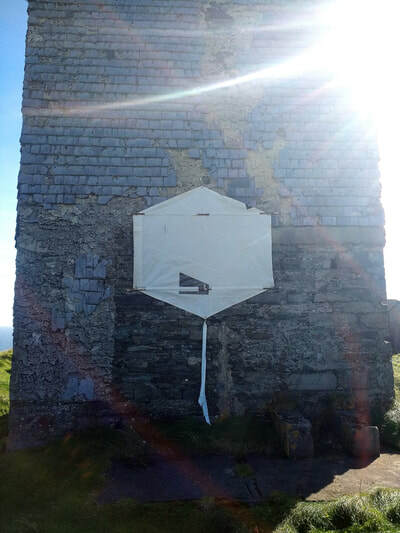 carried to Brow Head, West Cork September 2017.
transported by boat to surface English Roads. 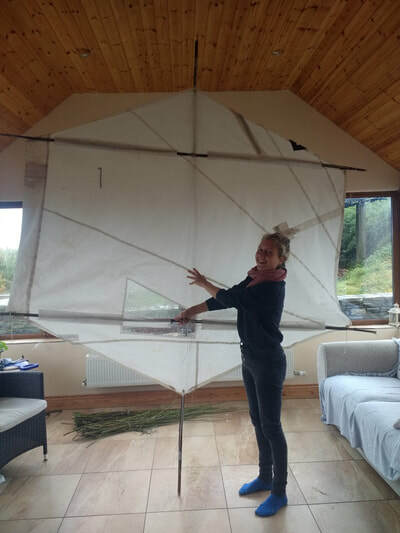 Materials: sailcloth, bamboo, brass eyelets, kite string. ​"On the 12th of December 1901, Guglielmo Marconi made his first successful transatlantic wireless reception tests. The receiving aerial was raised 122m by means of the Bowden-Powell Leviator kite. A strong wind was blowing, and the first attempt resulted in the loss of a kite. 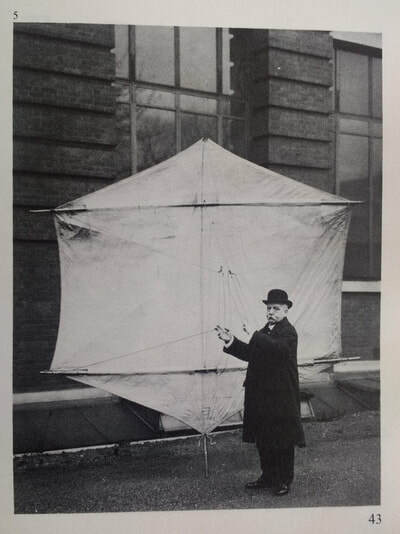 Even though the second kite fared more successfully, it's basic instability forced Marconi to make technical compromises to his equipment to compensate for the kite's misbehavior."